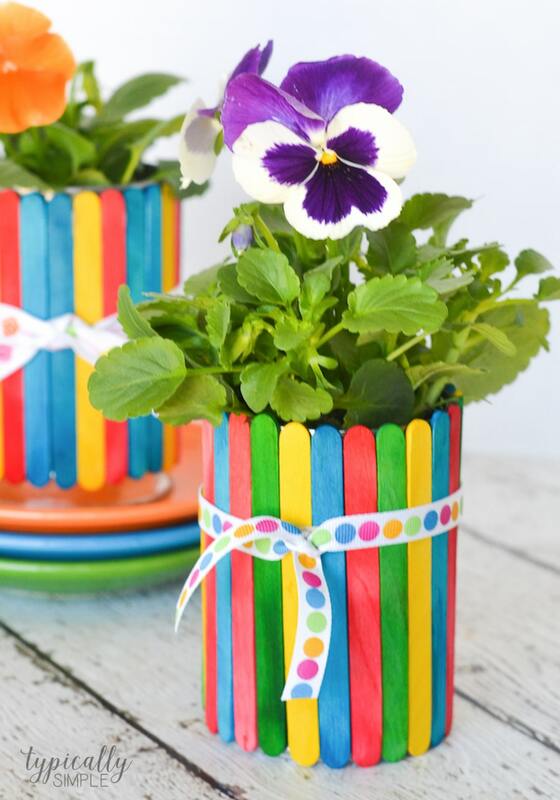 A colorful spring project to make with the kids, these craft stick flower pots are a no-mess craft and make an adorable homemade gift! I remember making so many different types of homemade gifts as a kid, especially ones that involved craft sticks. 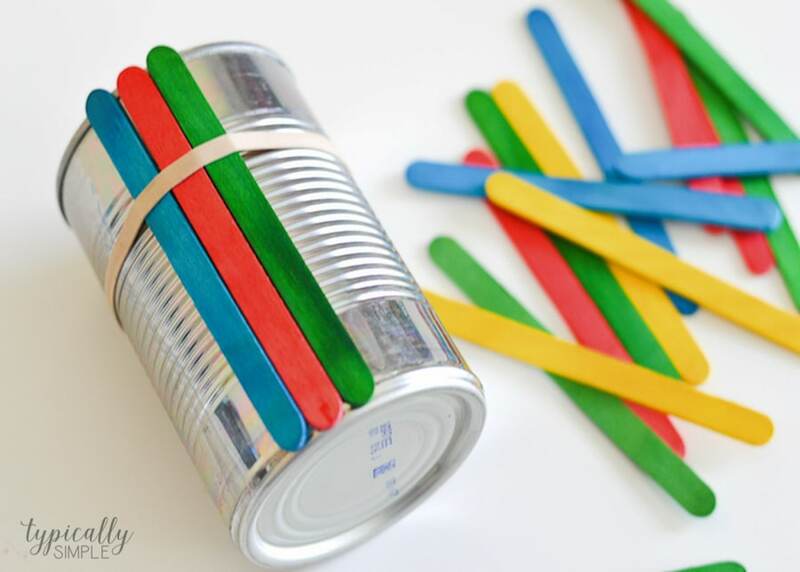 Since they are fairly inexpensive, they are great to use with the kids for projects! The only thing I’m not a fan of is needing to use glue with craft sticks. They never seem to dry fast enough. So many times I’ve spent like five minutes holding my project together waiting for the glue to stick, only to have it fall apart as soon as I let go. And the kids’ answers for everything when crafting is to use more glue, which ends up making it worse! It’s a never ending cycle. So I’m excited to share that this craft stick requires NO glue! 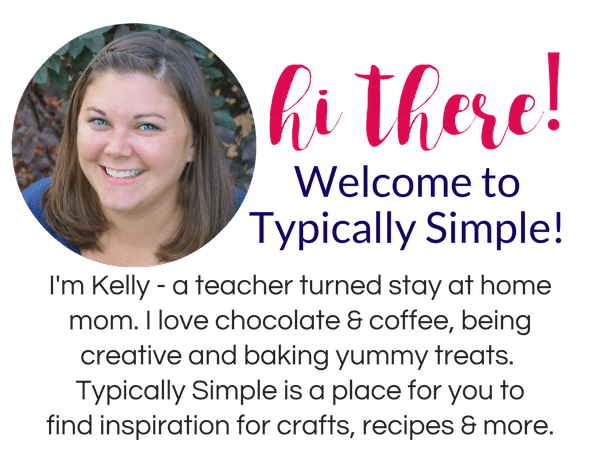 Shake your glittery wands in the air and give a little cheer because this craft stick project is probably one of the least messiest projects you can make with your kiddos! 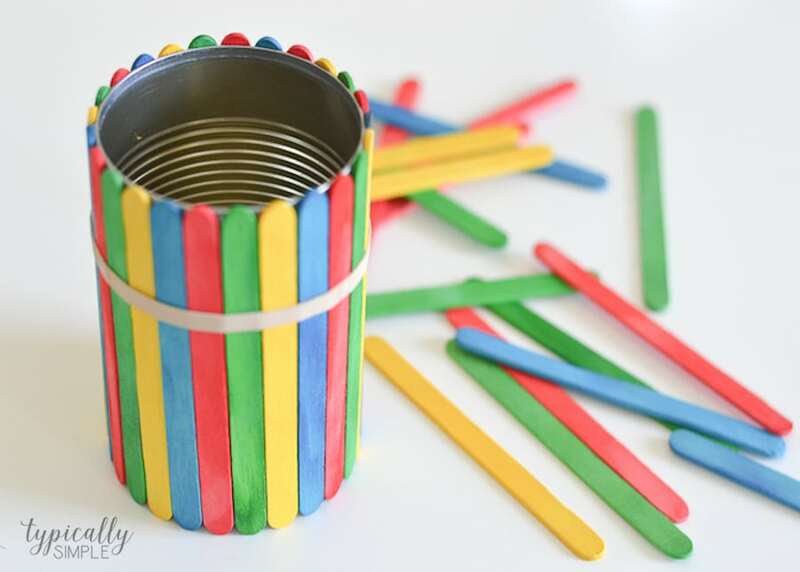 Take a rubber band and place it around the tin can, making sure it’s a snug fit. Take a craft stick and place it underneath the rubber band. Continue doing this all the way around the can until it is filled. To cover the rubber band, wrap a piece of ribbon around the can and cut it a few inches longer. Pull it tight around the can and tie in a bow or knot, trim off any extra ribbon. 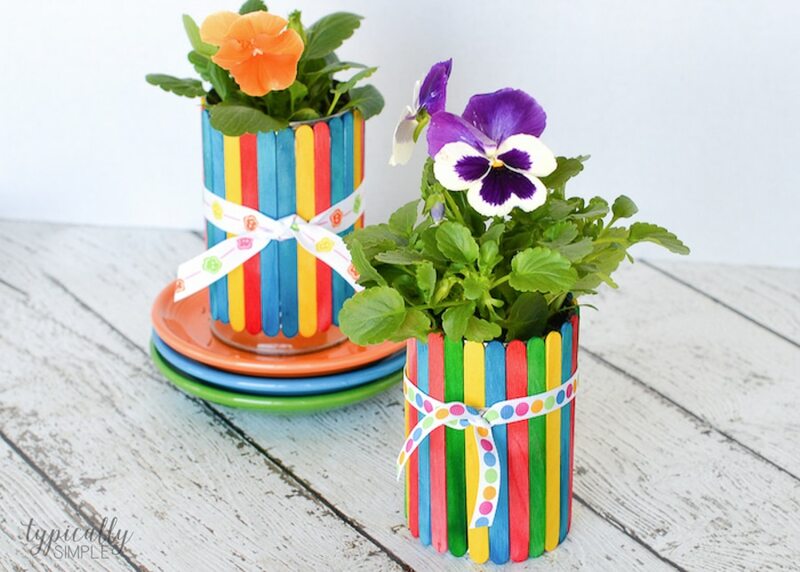 Fill the can with some soil and plant a flower to finish up this craft stick flower pot project! Super easy, but the end result is just so cute! Since I didn’t have drainage holes in the bottom of the can, I made sure not to overwater the flowers, but you can definitely poke some holes before starting the project. These make a great handmade gift to give for Mother’s Day or even Teacher Appreciation. 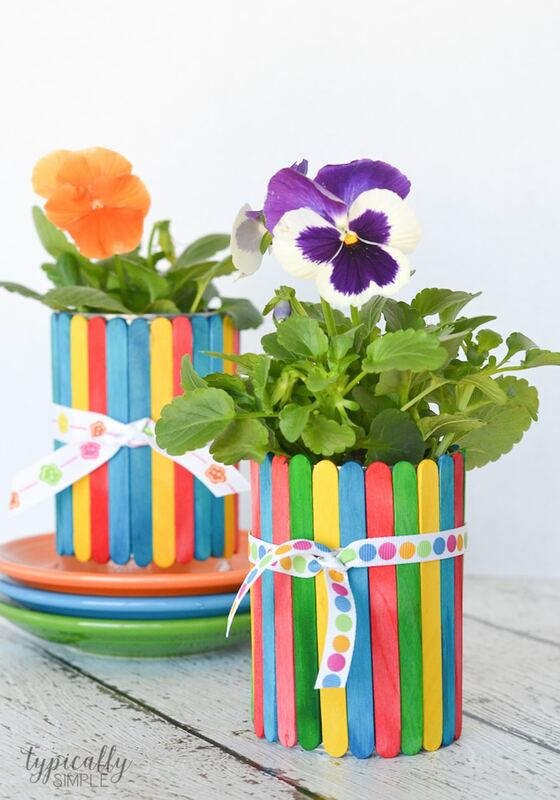 And if you wanted to use up your stash of plain craft sticks, you could have the kids paint or color them with markers before turning them into an adorable, little flower pot! 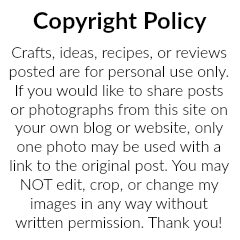 This project idea was first published on Somewhat Simple. 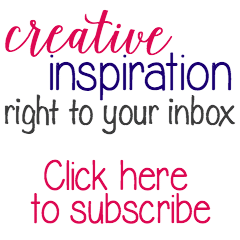 Check out these other fun, spring-inspired crafts for kids!